What are the best free apps to use for blogging? Today we have a guest post for you from experienced blogger Natalie Trice. Natalie’s been looking at some of the best apps which will help you out when blogging – and the good news is that they’re all free. 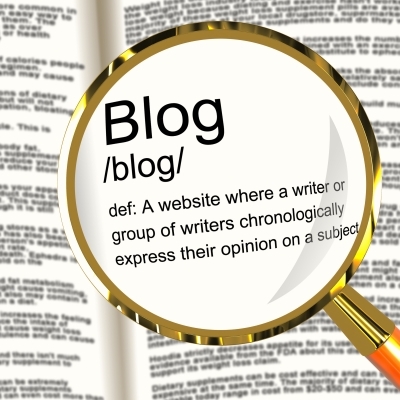 Blogging isn’t just writing the odd post here and there. You need to come up with new ideas and content, write most days, find eye catching images to go with those carefully crafted words, keep up to date with who is reading your blog and try to find time to market yourself too. There are only so many hours in the day, so I have found some great apps that can help you keep ahead of the game, however busy you are. I am out and about a lot and find that WordPress for iOS means I can create and edit posts on my blog as well as answer comments whilst I am on the go. It can be used for WordPress.com and self-hosted WordPress.org sites and is a real life-saver when you have something you’ve just got to do. If you are like me, some days you will have loads of ideas for blog posts and other days, nothing. To make sure I don’t forget those little gems I haven’t used, I have tried out a couple of note-taking apps that have really helped. Evernote is free and you can use it to create text, photo and audio notes that can be synced with your computer. I love the search option as it means if I can look for something really important which is so handy when you have a busy life and two small children, husband, cat and puppy. If you want something really um, simple, then go for Simplenote which is an easy to use note-taking app that also syncs with your computer. You write your list as things come into your head and go back to it on a rainy day when the creative juices aren’t flowing. If you want to bring your words alive, you need to make sure you get your images right. Photobucket Mobile is a free app makes adding photos and videos to your blog super easy. The app also gives you access to a fantastic searchable media library, has uploading capability and album management. You can also add images to Facebook and Twitter with this app making it extra handy. Another free app is Adobe Photoshop Express which offers one-finger photo editing so you can crop, adjust, filter and add effects or borders on the go. When it comes to selling yourself and marketing your blog, social media sites are a fantastic, free way to do this. Twitter provides users with real-time search and trending topics as well as the ability to easily add your latest blog post links so people can see just what you are about and what you have got to say. On Facebook you can have a personal account as well as fan pages that you can use to promote your blog. There are loads of apps out there, this doesn’t really touch the surface so let you know what you are using and share the blogging love. Tons of people got rich from using these techniques (including me). market that actually has a lot of products in it.